I recently rescued this out of a rusted-out '75 Elkie before it was due to be crushed. I already have four of these sitting on a shelf, so really have no need for yet another one. Just offering it up to anyone who might be interested in a conversion at a reasonable price. I'm asking $140; plus shipping. - One circuit on the back was broken. I spliced it together with a section of copper foil tape w/conductive adhesive. Checked and double-checked continuity afterwards and all is well. All other circuits are undamaged and check out ok for continuity. - Obviously, the face of the tach is in poor condition. This would make a good candidate for a white face vinyl decal overlay conversion if you don't have the patience/skills to redo it yourself...or, pay a repair shop to do it for you. The complete kit can be bought on e-Bay for just under $24. - The needle on the tach moves when 12v power is applied, but it's a safe bet the circuit board will need to be replaced. You'll find this to be true on virtually any used tach you find for sale...so, this can be expected no matter which cluster you buy. Nice thing about these '75's vs the '73/'74 tachs is the coil winding cup is the current three-prong style and doesn't need to be replaced to accept the new repro boards. Just needs the circuit board...and, Willcox Corvette sells these new (1978/79 style) for $58 shipped (there is a previous thread on here that discusses all of this http://www.g3gm.com/t8625p75-dead-tach-need-tach-filter?highlight=tach). 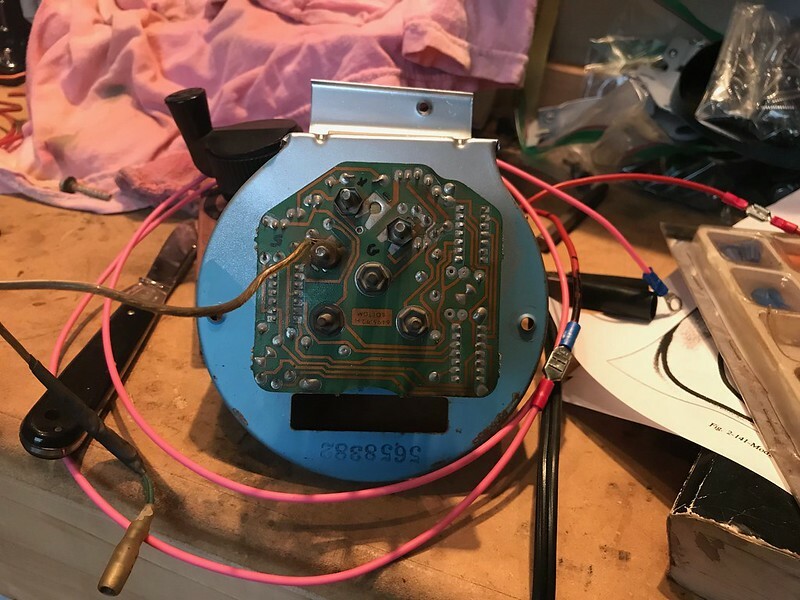 This is a HUGE plus as instrument repair shops will charge $250-$300 when they replace the winding cup and the circuit board on the '73/'74 tachs. Other advantage to these '75 clusters is they have the more desirable VOLT gauge. The clock is working now that I've lubed it. Speedo works as well. I presume the others will be in working condition, too. They all look pretty nice. Also, note I'm including the correct wiring plug connector for ease in the conversion. So...there you have it. Any questions, please ask and I'll answer best I can. "Nice thing about these '75's vs the '73/'74 tachs is the coil winding cup is the current three-prong style and doesn't need to be replaced to accept the new repro boards." One thing I didn't see in the tach thread is how to tell the 75s from the 73-4 tachs? The older alternative to the three prong is what--4 prong? 6 prong? The '73/'74 tachs utilized a 4-prong winding cup. Thus. they do not fit the replacement boards being sold. And, no...you can't just snip off the extra prong so it will fit the new boards and expect it to work. *Note: I just learned that you CAN purchase a set of adhesive-backed vinyl decals in black with white lettering/numbers from the same Seller on e-Bay. Costs an extra $30. 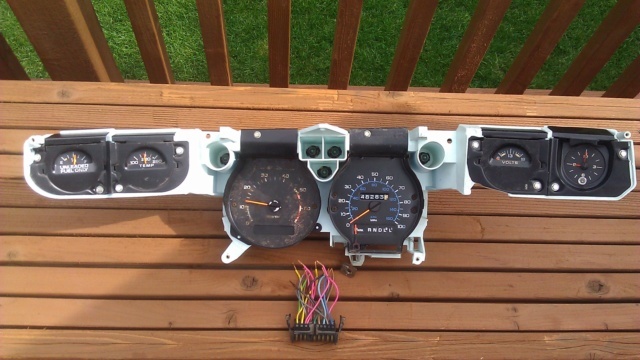 I went ahead and ordered a set for another gauge cluster I have that is in similar condition to this one I'm selling just to see how they look. 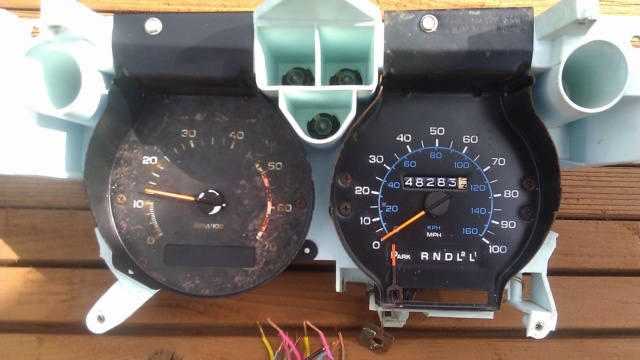 So the cluster circuit sold as 73-77 for round gauges works with either three- or four-pronged tachs, right? 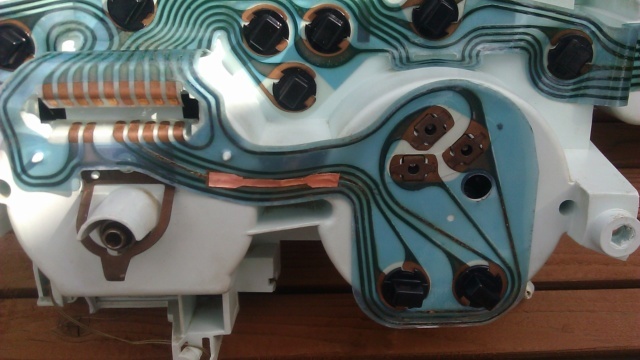 But the four-pronged tach has no repro circuit board, so essentially all you can use from it is the face plate. So judging from my picture above, I'm holding an expensive face plate? 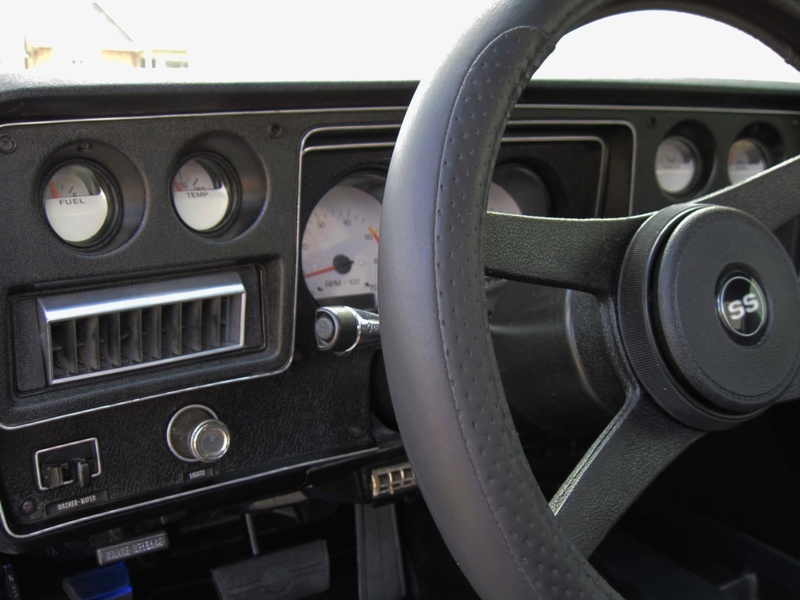 The difference between the '73/'74 vs '75-'77 flex circuit on the back of the cluster is the configuration for the Amp vs Volt gauges...so, they are year specific. Has nothing to do with what year tach you use. 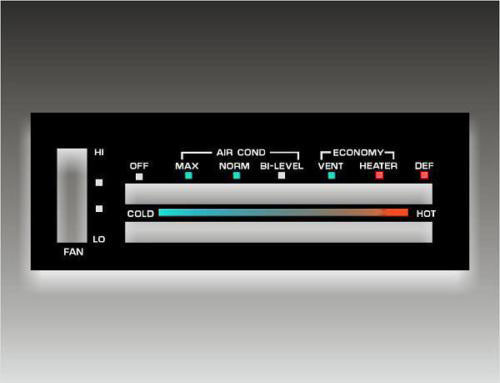 The tach you show is the '75 version and could be used with your '73 flex circuit cluster as well. 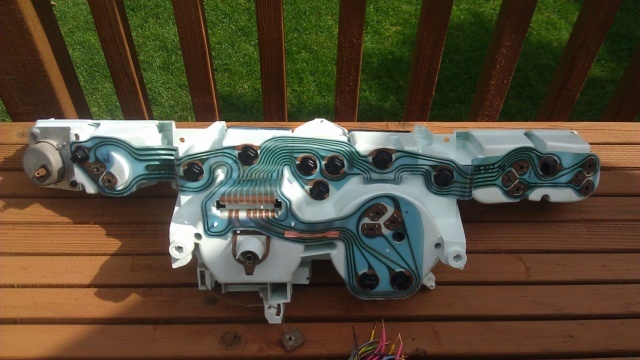 If you upgrade to a Volt gauge however, you'll need to replace the flex circuit...or, figure out a work-around with the wiring to accommodate the conversion. So, to answer your question about your tach...it's perfectly usable for either application...and is, as I mentioned, a better option as you would only need to buy a new rigid circuit board if it isn't working. Make sense? Got it. I still need to test mine on the engine but as you said, they almost always need a new board. Clai, I would reference the link that Mcarlo77 listed in the original post. This has a ton of great info and pics explaining the difference between the 73-74 tachs versus the 75 tachs. 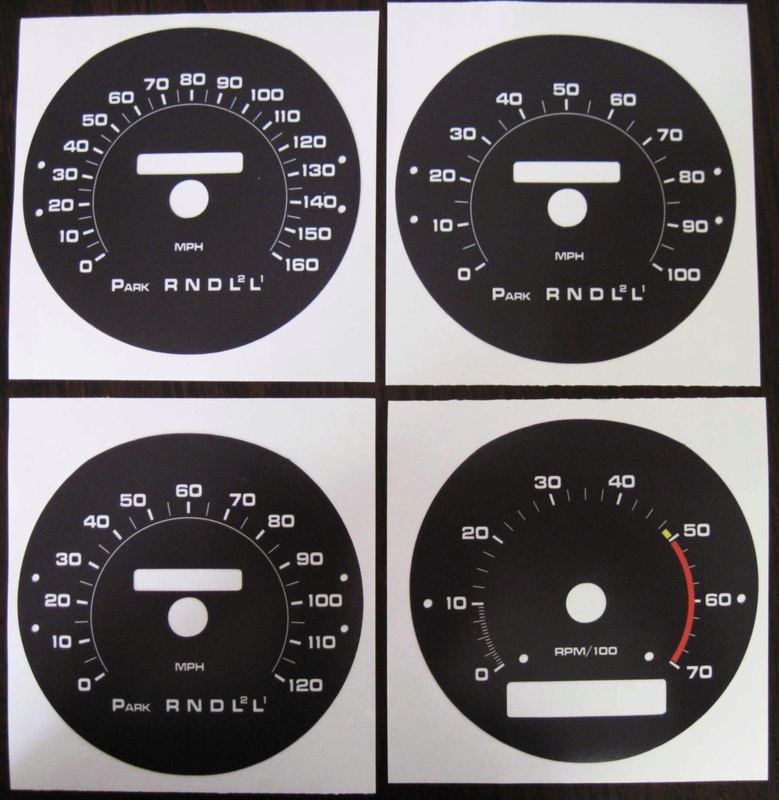 Also, I've spent some resources last year re-creating the correct typeface font overlays for our gauges. If you're interested I'm selling an extra set for $50 and depending on the amount of interest I may produce some more of these overlays. Below are some pics. Any vendors selling a HVAC overlay for our cars....in black with appropriate graphics ? You would think as many of the same HVAC unit used in ALL GM models...that there would be someone advertising for sales. Wish I would have known you made these overlays before I bought my set off e-Bay (Seller is customgauges). BTW...I paid $53.99 shipped. Are yours adhesive-backed vinyl, too? 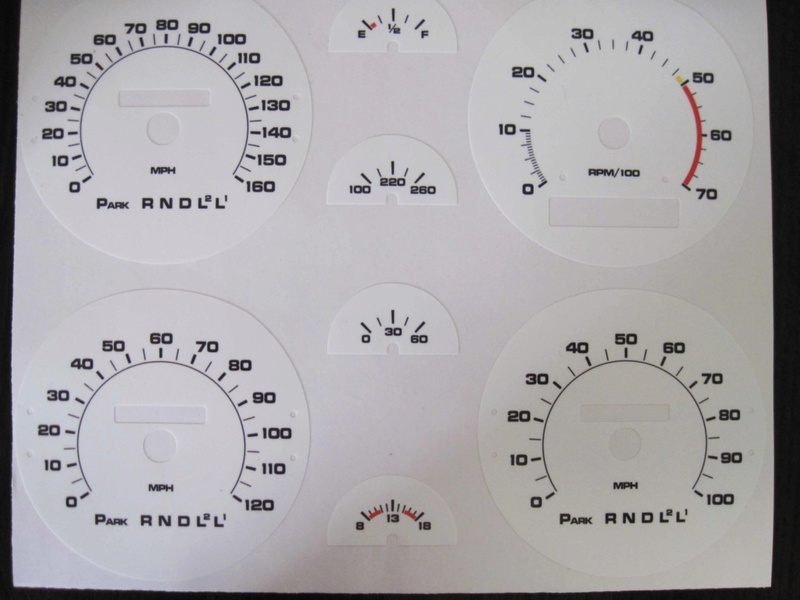 Would you consider selling overlays for individual gauges instead of an entire kit? For whatever reason, I've found the tach faces are particularly prone to weathering and fading. And, the numbers on the Speedos turn chalky. After seeing how these gauges weather, I would think there would be a sufficiently large pool of potential Buyers to justify making these if the word got out. I have printed a few sets of decals so I didn't really plan on selling individual ones. 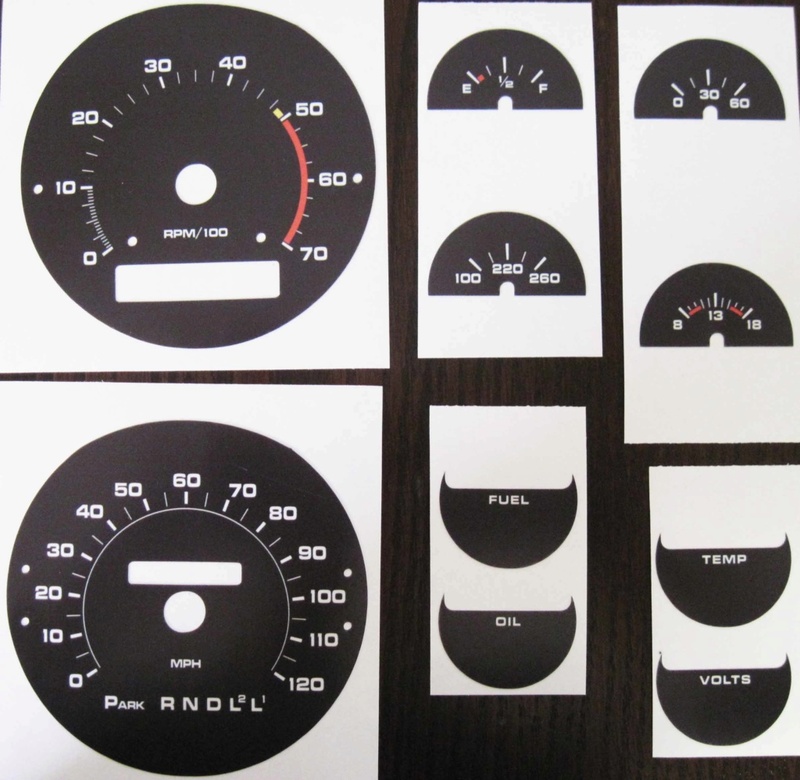 But I would be willing to sell just the Tach decal for $20 plus shipping. Also, I'm working on the HVAC decal as we speak. Here is a draft of that one. Those look pretty good, Bill. I could definitely use a set. I found an oil pressure gauge from a C10 that is pretty close but it would look much better with a new correct face. I pulled an oil pressure gauge out of a 78 Silverado and put it in my 76 with white faces on them. It looked almost factory. Below is the only pic I have and it really doesn't show it well. Also, my decals are printed on 5 mil matte 3M vinyl so they are better quality than the white face ones I purchased on Ebay a few years back. I appreciate your offer to sell just the Tach decal, Bill. Please PM me with total to zip code 55123. Thanks!